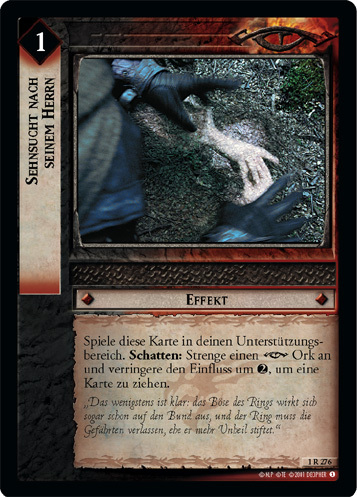 Game Text: Damage +1.To play spot an Uruk-hai minion. Each companion who has resistance 0 is strength -3. 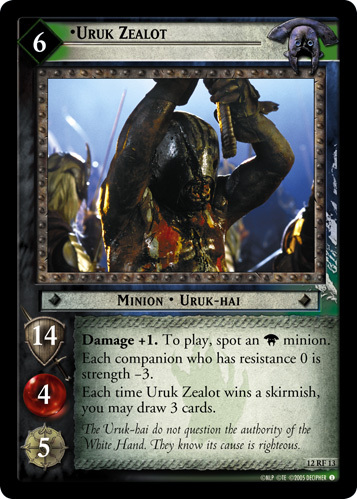 Each time Uruk Zealot wins a skirmish, you may draw 3 cards.